Trader tax status (TTS) constitutes business expense treatment and unlocks an assortment of meaningful tax benefits for active traders who qualify. The first step is to determine eligibility. If you do qualify for TTS, you can claim some tax breaks such as business expense treatment after the fact and elect and set up other breaks — like Section 475 MTM and employee-benefit plans — on a timely basis. Section 475 gives a TTS trader “tax loss insurance,” exemption from wash sale loss adjustments on securities and ordinary loss treatment, avoiding the capital loss limitation. With Section 475 income, you might also become eligible for the 20% qualified business income deduction, although QBI treatment is currently uncertain for TTS traders. There’s no election for TTS; it’s an optional tax status based on facts and circumstances only. A trader may qualify for TTS one year but not the next. TTS qualification can be for part of a year, as well. Perhaps a taxpayer qualified for TTS in 2017 and quit or suspended active trading on June 30, 2018. Include the period of qualification on Schedule C or the pass-through entity tax return and deduct business expenses for the partial-year period. If elected, use Section 475 for trades made during the TTS period, too. Qualifying for TTS means a trader can use business treatment for trading expenses. TTS is also a precondition for electing Section 475 MTM ordinary gain and business loss treatment. Business expense treatment under Section 162 allows for full ordinary deductions, including home-office, education, Section 195 start-up expenses, Section 248 organization expenses, margin interest, tangible property expense, Section 179 (100%) depreciation, amortization on software, seminars, market data, stock borrow fees, and much more. As an example of the potential savings, if TTS business expenses and home office deductions are $20,000, and the taxpayer’s federal and state tax bracket is 35%, then income tax savings is about $7,000. TCJA suspended “certain (all) miscellaneous itemized deductions subject to the 2% floor,” including investment fees and expenses, commencing in 2018. The only remaining itemized deductions for investors are investment-interest expenses, which are limited to investment income, and stock borrow fees deducted as “other itemized deductions.” TCJA gives more incentive for traders to try to qualify for TTS. Taxpayers’ trading activity must be substantial, regular, frequent, and continuous. The taxpayer must seek to catch swings in daily market movements and profit from these short-term changes rather than profiting from the long-term holding of investments. The words “substantial, regular, frequent, and continuous” are robust terms, yet case law doesn’t give a bright-line test with exact numbers. The publication mentions holding period, frequency, and dollar amount of trades, as well as time devoted by the taxpayer. It also says the intention to make a livelihood, an essential element in defeating the hobby-loss rules. Trading is not personal or recreational, which are the key terms used in hobby-loss case law. Trades full time or part time, for a good portion of the day, almost every day the markets are open. Part-time and money-losing traders face more IRS scrutiny, and individuals face more scrutiny than entity traders. Hours: Spends more than four hours per day, almost every market day working on his trading business. All-time in the trading activity counts, including execution of trade orders, research, administration, accounting, education, travel, meetings, and more. Few sporadic lapses: Has infrequent lapses in the trading business during the year. Traders can take vacations, sick time, and personal time off just like everyone else. Frequency: Executes trades on close to four days per week, every week. Recent tax-court cases show that to help prevent IRS challenge of a TTS claim; it is wise to trade close to four days per week or 75% of available trading days — even if this requires the taxpayer to make smaller trades with reduced risk on otherwise non-trading days. Volume: Makes 720 total trades per year (Poppe court) on an annualized basis. The buy and sell count as two total trades. The court mentioned Poppe having 60 trades per month. During the year, it’s crucial to consider the volume of trades daily. We recommend 720 trades per year — about four trades per day, four days per week, 16 trades per week, and 60 trades a month. The markets are open approximately 250 days, and with personal days and holidays, you might be able to trade on 240 days. A 75% frequency equals 180 days per year, so 720 total trades divided by 180 trading days equals four trades per day. Holding period: Makes mostly day trades or swing trades. The IRS stated that the holding period is the most critical factor, and in the Endicott court, the IRS said average holding period must be 31 days or less. That’s a bright-line test. Intention: Has the intention to run a business and make a living. Traders must have the intention to run a separate trading business — trading his or her own money — but it doesn’t have to be one’s exclusive or primary means of making a living. The key word is “a” living, which means it can be a supplemental living. Operations: Has significant business equipment, education, business services, and a home office. Most business traders have multiple monitors, computers, mobile devices, cloud services, trading services, and subscriptions, education expenses, high-speed broadband, wireless, and a home office. Account size: Has a material account size. Securities traders need to have $25,000 on deposit with a U.S.-based broker to achieve “pattern day trader” (PDT) status. We like to see more than $15,000 for trading other financial instruments. Don’t count these three types of trading activity for TTS qualification: Automated trading without much involvement by the trader (but a trader creating his or her program qualifies); engaging a professional outside investment manager; and trading in retirement funds. Do not include these trades in the golden rule calculations. 1. Automated trading. An entirely canned automated trading service — sometimes referred to as an “expert adviser” program in the forex area — with little to no involvement by the trader doesn’t help TTS; in fact, it can undermine it. The IRS may view this type of automated trading service the same as a trader who uses a broker to make most buy and sell decisions and executions. On the other hand, if the trader can show he’s very involved with the automated trading program or service — perhaps by writing the code or algorithms, setting the entry and exit signals, and turning over only execution to the program — the IRS may not count the automated trading activity against the trader. Some traders use a “trade copying” service and copy close to 100% of the trades. Trade copying can be similar to using a canned automated service or outside adviser, where the copycat trader does not qualify for TTS on those trades. 2. Engaging a money manager. Hiring a registered investment adviser (RIA) or commodity trading adviser (CTA) — whether they are duly registered or exempt from registration — to trade one’s account doesn’t count toward TTS qualification. 3. Trading retirement funds. Achieve TTS through trading taxable accounts. Trading activity in non-taxable retirement accounts doesn’t count for purposes of TTS qualification. For more in-depth information on trader tax status, see Green’s 2019 Trader Tax Guide. This entry was posted in Tax Compliance, Trader Tax and tagged trader tax status on February 9, 2019 by Robert Green. Above the taxable income cap set for service businesses, owners of trading and investment management companies can’t use the QBI deduction. But for a married trader earning $300,000 a year — just under one of the income thresholds —the couple is entitled to a QBI deduction on service businesses, according to Robert Green of GreenTraderTax. Green said that before the proposed regulations were released, some other tax experts argued that a hedge fund wouldn’t be a barred service activity in section 199A because technically a management company was providing the service, and the hedge fund was merely receiving it. Green said that to claim trader tax status and elect section 475 — which treats capital gain and loss as ordinary income and loss — a taxpayer must trade its own funds, and typically a management company would be a partner in a hedge fund and would be trading for the fund. The proposed regulations clarified that the hedge fund in that scenario wouldn’t qualify for the deduction above the service business income cap. But because section 475 is ordinary income, taxpayers below the thresholds can likely get a deduction on that trading income, because QBI excludes capital gain, Green said. Green said some managers may decide to receive an incentive fee instead of carried interest of capital gains because the incentive fee is includable in management company QBI, whereas the profit allocation of capital gain is not. The investors may not appreciate that change because they can’t deduct investment fees, but they can get the benefit of a carveout of capital gains, he added. Authors based below content on Robert A. Green’s blog posts referenced in footnote 13. 12 - A section 475(f) election (mark-to-market election) allows a trader to treat gains and losses from the sales of securities as ordinary gains and losses (except for securities held for investment). 13 - Robert A. Green, “How Traders Can Get the 20% QBI Deduction Under New Law,” Forbes, Jan. 12, 2018; and Green, “Traders Should Be Entitled to the Pass-Through Tax Deduction,” Forbes, Dec. 12, 2017. This entry was posted in 2017 Tax Cuts and Jobs Act (TCJA), Trader Tax and tagged new tax law, S-corp, trader tax status on June 21, 2018 by Robert Green. Robert A. Green CPA recorded these videos in June 2018. It’s an excellent primer on trader tax. There’s another way to watch: On the Interactive Brokers Traders’ Academy page, scroll down to U.S. 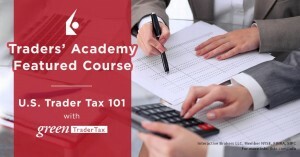 Trader Tax 101 by GreenTraderTax. There are six lessons, and each comes with Notes and a Quiz. Total course time is approximately 65 minutes. You don’t need an IB account to register. This entry was posted in Trader Tax and tagged Section 475, trader tax status, wash sales on June 11, 2018 by Robert Green. At TradersExpo New York, Robert Green, with GreenTraderTax.com, offers ideas for traders filing and facing new rules and regulations. This entry was posted in Trader Tax and tagged trader tax status on May 4, 2018 by Robert Green. Trader tax status (TTS) drives many key business tax breaks like business expenses, business ordinary trading losses with the Section 475 election and through an S-Corp, employee benefit deductions for retirement plans and health-insurance premiums. Unfortunately, only a small fraction of active traders qualify for TTS, and the IRS rules are vague and confusing to understand. Join Robert A. Green, CPA of GreenTraderTax.com to learn how to be eligible for TTS. This entry was posted in Trader Tax and tagged trader tax status on July 12, 2017 by Robert Green. Click to read on Forbes. Trader tax status (TTS) drives many key business tax breaks like business expenses, business ordinary trading losses with the Section 475 election and through an S-Corp, employee benefit deductions for retirement plans and health-insurance premiums. These items are deducted from gross income without restriction, whereas investment expenses are subject to itemized deductions, AMT preferences, and Pease limitations, and there are limitations on capital losses and wash sale loss deferral adjustments. Unfortunately, only a small fraction of active traders qualify for TTS, and the rules are vague and confusing to understand. In this blog post, learn how to be eligible for TTS. Congress and President Trump are working on tax reform in 2017, and considering delays; I expect changes won’t be effective until 2018. Don’t wait for concrete plans, get started on 2017 tax planning based on current law, and hopefully, tax reform will favor your planning. TTS is a case in point: It works perfectly for 2017, and tax reform should be the icing on the cake offering a lower tax rate on business income, hopefully, available to a TTS company. Tax reform may also repeal investment expense deductions, thereby making TTS even more attractive. (Read Consider Smart Tax Moves Now That Work With Possible Reform). The first step is to determine if you qualify for TTS. If you do, you can claim some tax breaks such as business expense treatment after the fact, and make an election and set up other breaks — like Section 475 MTM and employee-benefit plans — on a timely basis. There’s no election for TTS; it’s an optional tax status based on facts and circumstances. A trader may qualify for TTS one year but not the next. It’s analogous to taking bread out of the oven each year to see if it rose to the level of bread (TTS) or if it’s flat bread (investor tax status). If you elected Section 475 and later don’t qualify for TTS, you must suspend use of Section 475 treatment until you requalify since Section 475 is conditional on qualification for TTS. You can also qualify for TTS for part of a year. Perhaps you qualified for TTS in 2016 and quit or suspended active trading on June 30, 2017. Or you began active trading on July 1, 2017. Include the period of qualification on Schedule C or the pass-through entity tax return and deduct business expenses during that part-year period. If elected, use Section 475 for the TTS time, too. Conversely, investment expenses don’t allow home-office, education, start-up, and organization costs, and they are only allowed as a miscellaneous itemized deduction in excess of 2% of adjusted gross income (AGI), and not deductible against the alternative minimum tax (AMT). The IRS further restricts investment expenses with the “Pease” itemized deduction limitation for taxpayers with AGI’s over $313,800 (married) and $261,500 (single), based on 2017 thresholds. Many states limit itemized deductions too. The bottom line is business expense treatment is much better. Full-time traders often qualify for TTS, but it’s harder for part-time traders. The bar is raised in the eyes of the IRS — especially if you have significant trading losses with business ordinary loss treatment (Section 475) rather than capital loss limitations. 1. Taxpayers’ trading activity must be substantial, regular, frequent and continuous. 2. The taxpayer must seek to catch the swings in the daily market movements and profit from these short-term changes rather than profiting from the long-term holding of investments. IRS agents often refer to Chapter 4 in IRS Publication 550, “Special Rules for Traders.” Here’s an excerpt: The following facts and circumstances should be considered in determining if your activity is a securities trading business. - Typical holding periods for securities bought and sold. - The frequency and dollar amount of your trades during the year. - The amount of time you devote to the activity. The IRS does not define the words “substantial, regular, frequent, and continuous” and case law also doesn’t give a bright-line test with exact numbers. - Trades full time or part time, all day, every day. Part-time and money-losing traders face more IRS scrutiny and individuals face more scrutiny than entities. Full-time options traders actively trading significant portfolios may not qualify because they don’t have enough volume and frequency and their average holding period is over 31 days. On the other hand, a part-time trader with a full-time job may qualify as a day and swing trader in securities meeting all my golden rules. - Hours: Spends more than four hours per day, almost every market day working on his trading business. All time counts, including execution of trade orders, research, administration, accounting, education, travel, meetings, and more. Most active business traders spend more than 40 hours per week in their trading business. Part-time traders usually spend more than four hours per day. In one tax exam our firm handled, the IRS agent brought up “material participation” rules (Section 469), which require 500 hours of work per year (as a general rule). Most business traders easily surpass 500 hours of work. However, Section 469 doesn’t apply to trading activities, under its “trading rule” exemption. Without this exemption, taxpayers could generate passive activity income by investing in hedge funds and the IRS did not want that. - Few to no occasional lapses: The IRS has successfully denied TTS in a few tax court cases by arguing the trader had too many breaks in trading, such as taking several months off during the year. Traders can take vacations, sick time, and personal time off just like everyone else. Some traders take a break from active trading to recover from recent losses and learn new methods and markets. Explain these breaks to the IRS in tax-return footnotes. Retooling and education during an occasional break may be acceptable. Keep good records of your time spent. - Frequency: Executes trades on close to four days per week, every week. It’s wise to prevent an IRS challenge by trading close to four days per week or 75% of available trading days — even if you need to make smaller executions with reduced risk on otherwise non-trading days. It’s not a good idea to have the tax tail wag the dog, and any trading you do for TTS should have an actual economic risk. Holsinger, Assaderaghi, Endicott and Nelson, options traders with less activity than equity or futures traders, only traded around 40% of available trading days, which is two days per week. Three days per week may be cutting it too close, so try to get closer to four. While we feel the IRS should also count working days when you don’t have an execution, it currently does not as evidenced by the Assaderaghi, Endicott and Nelson cases. - Volume: Makes 720 total trades per year (Poppe court) on an annualized basis. If you start July 1, then you need 360 executions, half of the 720. The court mentioned Poppe having 60 trades per month as being sufficient volume. Count the buy and sell, or open and close, as two total trades. The markets are open approximately 250 days per year, and with personal days and holidays, you might be able to trade on 240 days. With a 75% frequency, you would trade on 180 days per year, so 720 total trades divided by 180 trading days equals four trades per trading day. Some traders scale into trades and executions are broken down into smaller lot sizes. Options traders have multi-legged positions on complex trades. We believe you may count each trade confirmation of a complex trade, providing you make the executions separately, although this has not come up in tax court cases. If you initiate a trade and the broker breaks down the lot sizes without your involvement, the IRS may reject counting the extra volume of trades in this case. Forex and futures trades aren’t listed line by line on tax returns (unlike securities trades), so the IRS doesn’t see those numbers. Report an actual number in your tax return footnotes about TTS. - Proceeds: Have proceeds in the millions of dollars per year on equities. 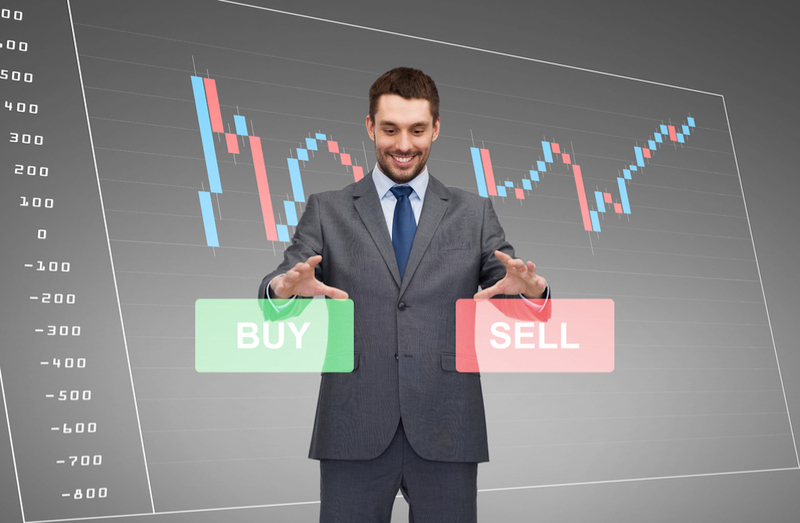 More traders are using options and futures, which have lower proceed values. Explain this well in footnotes since proceeds for futures and forex are not reported on 1099s, and the IRS won’t see the proceeds amount. Proceeds on a Form 1099-B provide the IRS with a quick indication about qualification for TTS. - Holding period: Over the years, the IRS stated that holding period is the most important factor, and in the Endicott court, the IRS said average holding period must be 31 days or less. That’s a bright-line test and the only one. Active traders usually make day trades or swing trades. Don’t hold many trading positions over a month, unless you segregate them as investments. Exclude investments from average holding period calculations. Investment positions are also not subjected to MTM in Section 475 (if elected), which then allows for deferral at year-end and perhaps lower long-term capital gains tax rates if held 12 months. Many options traders qualify for TTS by trading weekly options, thereby shortening their average holding periods to under 31 days. Their other challenge is frequency, as many still only execute trades on two to three days per week, rather than the requirement closer to four days per week. It’s a challenge for options traders to be that frequent. Some fill in the blanks by trading securities, futures and or forex. - Intention: Has the plan to run a business and make a living. You must have the intention to run a separate trading business — trading your money — but it doesn’t have to be your exclusive or primary means of making a living. The key word is “a” living, which means it can be supplemental income for your livelihood. Many traders enter an active trading activity while still performing their full-time job. It’s possible to carry on both activities simultaneously using advances in technology and flexible job schedules. It’s not a good idea to try to achieve TTS within a business entity already principally conducting a different type of business activity. It’s better to form a new trading entity. Trading an existing business’s available working capital seems like a treasury function and sideline, which can undermine trader tax status. While filing as a sole proprietor on a Schedule C is allowed and used by many, it’s not the best tax filing strategy. Your tax return shows your job and other business activities or retirement, and that may undermine TTS in the eyes of the IRS. The IRS tends to think trading is a secondary activity, and they may seek to deny TTS. It’s best to form a new, separate entity dedicated to trading only. - Operations: Has significant business equipment, education, business services and a home office. Most business traders have multiple monitors, computers, mobile devices, trading services and subscriptions, education expenses, high-speed broadband, wireless and a home office. Some have staff. The IRS needs to see that you have a serious trading business operation. How can you run a business without an office? Casual investors rarely have as elaborate an office set up as business traders do. Why would a long-term investor need multiple monitors? If you use the office exclusively for business rather than personal use, don’t skip reporting a valid home-office deduction. - Account size: Securities traders need to have $25,000 on deposit with a U.S.-based broker to achieve “pattern day trader” (PDT) status. With this status, they can day trade using up to 4:1 margin rather than 2:1. Without PDT status, securities traders, which include equities and equity options, can’t day trade and they will have a hard time qualifying for TTS. The $25,000 amount seems substantial enough to impress the IRS. Many new traders don’t want to risk $25,000 on day trading securities; they prefer to trade futures or forex, all allowing mini-account sizes of $5,000 or less. A small account size won’t impress the IRS — you probably need more capital to qualify. We like to see over $15,000 for futures or forex accounts. Three factors don’t qualify for TTS: Automated trading without much involvement by the trader (but creating your program qualifies); engaging a professional outside investment manager; and trading in retirement funds. Don’t include these trades in the golden rule calculations. This blog post is a partial excerpt from Green’s 2017 Trader Tax Guide. There’s more to learn about TTS in the guide. Consider a 30-minute paid consultation with Robert A. Green, CPA to discuss: Whether you qualify for trader tax status; if you should elect mark-to-market accounting; if you benefit from an entity and which type of company; and more trader tax benefits. This entry was posted in Trader Tax and tagged how to qualify, tax reform, trader tax status on June 5, 2017 by Robert Green. This entry was posted in State & Local Taxation and tagged tax treatment, trader tax status on January 10, 2017 by Robert Green. In general, a business must capitalize property for purposes of depreciation. For smaller purchases, the IRS allows expensing under its Tangible Property Regulations, since it’s inconvenient to maintain depreciation records on small amounts. The IRS increased the de minimis expensing amount to $2,500 from $500. Although the IRS mentions this rule change is effective for 2016, IRS Notice 2015-82 & News Release IR 2015-133 point out it’s Ok to use for open tax years. That means it’s an excellent year-end tax strategy for 2015. For example, if a business trader purchases a new workstation in December 2015 for $7,500, try to break down the purchase into separate items with each invoice being under $2,500. For example, purchase the computer separate from the monitors and other equipment. With all items on separate invoices under $2,500, the entire $7,500 can be a 2015 business expense without any capitalization for fixed assets and related depreciation. That leads to faster expensing, tax benefits and less compliance work. This entry was posted in Tax Changes & Planning, Trader Tax and tagged planning, trader tax status on December 3, 2015 by Robert Green. In light of the William F. Poppe vs. Commissioner court case, there’s good news for retail traders on the volume of trades needed to qualify for trader tax status. There’s also troubling news. The IRS denied Poppe his Section 475 election because he could not prove compliance with the two-step election process. Traders should be more diligent in documenting their election. The consequence was that instead of deducting his $1 million trading loss as an ordinary loss, Poppe was stuck with a $3,000 capital loss limitation and a capital loss carryover. The court construed Poppe’s proprietary trading firm arrangement to be a disguised retail customer account. This ruling should be a huge concern for the proprietary trading firm industry, especially since regulators warned clearing firms about disguised customer accounts in the past. By agreement, prop traders do not trade their own capital in a retail customer account. They trade a firm sub-account with firm capital and far higher inter-firm leverage than is available with a retail customer account. The Poppe court awarded trader tax status (TTS) with 720 trades (60 trades per month). That’s less than our 2015 golden rule calling for 1,000 trades per annum on an annualized basis. Poppe seems to have satisfied our other golden rules on frequency, holding period, intention to run a business, serious account size, serious equipment, business expenses, and more. Plus, Poppe had a good background as a stockbroker. In some years, Poppe was a teacher and part-time trader, fitting trading into his schedule. It helped that Poppe made a lot of money trading in a few years in comparison to his teacher’s salary. Poppe had large trading losses ($1 million in 2007) for which he claimed Section 475 ordinary business loss treatment rather than a puny $3,000 capital loss imitation against other income. But like other recent tax court cases (Assaderaghi, Nelson, Endicott, Holsinger and Chen), the court busted Poppe for either lying to the IRS about making a timely Section 475 election or making a valid election but not being able to prove it to the IRS. Poppe never filed a required Form 3115 to perfect the Section 475 election, which begs the question: Did he ever file an election statement on time? The case opinion states that Poppe intended to elect Section 475 for 2003 and he filed his 2003 tax return late in 2005 omitting a required 2003 Form 3115. Poppe’s tax preparer reported 2003 Section 475 trading gains on Schedule C. That’s incorrect: Section 475 trading gains are reported on Form 4797 Part II ordinary gain or loss. This botched reporting indicates to me that Poppe’s tax preparer did not understand Section 475 tax law and it probably buttressed the IRS win. Many traders are in the same predicament as Poppe and should do their best to document the election filing in case the IRS challenges it later on. We document the process for our clients and ask them to document their filings, too. Send yourself an email with the relevant facts as email has a timestamp. Safeguard a copy of the election and Form 3115 in your permanent files. One learning moment in the Poppe case is how to properly make a timely Section 475 election and to avoid pitfalls in botching the election process. By default, investors and traders in securities and Section 1256 contracts have capital gain and loss treatment, as opposed to ordinary gain or loss treatment. Capital losses offset capital gains without limitation, but a net capital loss is limited to $3,000 per year against other income with the remainder of capital losses carried over to the subsequent tax year(s). Traders qualifying for TTS may file a timely election for Section 475 ordinary gain or loss treatment (on securities only or Section 1256 contracts, too). Generally, traders prefer to retain Section 1256 treatment with lower 60/40 capital gains rates. Section 475 exempts traders from wash-sale loss treatment on securities and capital loss limitations. It’s known as “tax loss insurance” since it allows full business ordinary loss treatment comprising NOLs generating NOL tax refunds. A sole proprietor (unincorporated) trader makes an individual-level Section 475 election. A proprietary trading firm or hedge fund makes an entity-level Section 475 election. A partner in a proprietary trading firm or hedge fund cannot override the firm’s Section 475 election or lack of an election made on the entity-level. The first step is for the trader to file a timely election statement early in the current tax year to prevent the trader from using hindsight about the election later. An “existing taxpayer” (who filed a tax return before) must file an election statement with the IRS (that means “external”) by the due date of the prior year tax return not including extensions: April 15 for individuals and partnerships and March 15 for S-Corps. (Note that in 2017, the partnership due date changes to March 15.) Attach the Section 475 election statement to the tax return or extension filing. I suggest documenting this first step in your books and records including emailing a copy to yourself and your accountant. Don’t count on the IRS for keeping a copy of the election statement. An existing taxpayer’s second step is to file a Form 3115 (Change Of Accounting Method) with appropriate Section 481(a) adjustment by the due date of the election-year tax return including extensions. The complex Form 3115 must be filed in duplicate: one copy with the timely filed tax return and a second copy to the IRS national office. Example of existing taxpayer: A sole proprietor trader files a 2015 Section 475 election by April 15, 2015, attaching the election statement to his 2014 federal tax extension filed on time by mail. (You can’t attach an election to an e-filed extension.) Second step: The accountant prepares a 2015 Form 3115 to accompany the 2015 Form 1040 filed by Oct. 15, 2016 with a valid extension filed by April 15, 2016. Why the two steps? So taxpayers can make a very simple election filing with little hindsight but to allow sufficient time to prepare a complex Form 3115 with the tax return filing after year-end. Many local accountants are confused about the two-step process. Some think only one step is required: either filing the Form 3115 in lieu of the election statement, or the election statement as part of a Form 3115 filing with the tax return. They don’t comply with both required steps and that botches the election. There is an important exception to the election process for “new taxpayers” such as a new entity. A new taxpayer may file the Section 475 election statement within its own books and records (internally) within 75 days of inception of the new entity. Existing taxpayers who miss the external 475 election by April 15 should consider forming a new entity to make an internal Section 475 election within 75 days of inception, which is later in the year. A new taxpayer “adopts” Section 475 from inception as opposed to changing its accounting method so they don’t have the second step of filing a Form 3115 with Section 481(a) adjustment (converting realization/cash method to MTM on Jan. 1). The entity provides better flexibility in making, revoking, and ending Section 475 elections with closure of the entity. With fewer steps to follow, the internal election for new taxpayers is a better choice for prevailing with the IRS. Poppe was not able to verify the external 475 election statement (step one) or a Form 3115 filing (step two). It wasn’t just a question of being late on a Form 3115 filing, Poppe never filed a Form 3115 and he was an existing taxpayer individual. Traders should file the external Section 475 election statement with certified return receipt. But that may not be enough because it only verifies a mailing, which also contains the tax return or extension. The IRS recognized this problem and suggests that taxpayers include a perjury statement on Form 3115 stating they filed the 475 election statement on time. Is there any relief from the IRS? My partner Darren Neuschwander, CPA spoke with an IRS official in the Form 3115 area a few years ago who said the IRS had granted some relief to a few traders providing they were only a little late with their Form 3115 filing and they filed the election statement on time. The IRS official pointed out there is no relief for filing the initial election statement late. But Poppe was not a little late — he never filed a Form 3115, even with the case being heard years later. It’s wise to file Form 3115 on time per the written rules and not rely on hearsay about possible relief from IRS officials, which may no longer be granted after the Poppe decision. Consult your trader tax advisor. The Poppe case shows that it doesn’t work to claim reasonable cause on noncompliance due to mental incapacity if the taxpayer can’t demonstrate the same mental incapacity in a job, business, or trading. Poppe tried to raise this issue for special relief and the IRS said no because he wasn’t mentally impaired as a teacher and as an active trader. Proprietary trading account or disguised customer account? In 2007 (the IRS exam year), Poppe lost $1 million trading with a proprietary trading firm that cleared through Goldman Sachs Execution & Clearing (GSEC). This is the tax loss at the center of this case. On his original tax return filing, Poppe reported this loss (assumed) on Schedule E page 2, as an ordinary loss flowing through to him as a partner in a partnership. If the proprietary trading firm qualified for TTS and filed a timely Section 475 election on the firm level, then trading losses allocated to partners would have ordinary loss treatment. Prop trading firm arrangements, agreements, tax treatment and regulatory issues are murky. Perhaps Poppe never formally signed the prop trading firm’s LLC Operating Agreement. The case states Poppe couldn’t satisfy the IRS that he was a partner in the firm. If not an LLC member, perhaps he was an independent contractor, which is the second business model for proprietary trading firms. Poppe claimed he was a Class B member of the firm. Generally, the main owners (Class A members) are allocated firm-wide trading losses on their K-1s since they own the firm’s capital in their capital accounts, which provide tax basis for deducting trading losses. Generally, Class B members don’t have capital accounts so they aren’t allocated losses since they wouldn’t have tax basis to deduct losses, which would then be suspended to subsequent years when they might have capital. Instead of paying into firm capital, Class B members pay “deposits” to the firm. This is where the confusion mainly lies. The firm applies these deposits to cover the prop trader’s trading losses incurred in a firm sub-account. Prop traders are entitled to deduct lost deposits as business bad debts, which are ordinary business losses. Perhaps Poppe should have considered lost deposit bad debt tax treatment instead of using an incorrect K-1 and later relying on an alleged Section 475 election as a retail individual trader. I’ve been covering the proprietary trading industry since the late 1990s. Around 2000, some people questioned whether proprietary trading firm arrangements were really “disguised” retail customer accounts. Reg T margin rules allow 4:1 margin on pattern day trader (PDT) customer accounts requiring a $25,000 minimum account size. Otherwise, retail investors are limited to 2:1 margin on securities. The big attraction of proprietary trading firms is they offer proprietary traders (LLC members or independent contractors) far greater leverage (greater than 10:1 in some cases) on their deposits made with the firm. Some proprietary trading firms have minimum deposit amounts as low as $2,000. If the firm’s profit sharing arrangement is more than 80% sharing to the prop trader, FINRA’s Regulatory Notice 10-18 issued to clearing firms stated it’s one of several signs it may be a disguised retail customer account. Read my June 2010 blog post FINRA’s notice to prop traders. Poppe had 90% profit sharing and perhaps that led the IRS to conclude it was a disguised retail customer account. GSEC is a popular clearing firm for proprietary trading firms and I don’t believe it services individual retail customers. Goldman Sachs brokerage firm has high standards for opening individual retail customer accounts. The Poppe opinion states: “The parties stipulated that all transactions and capital in the GSEC account belonged to petitioner (Poppe).” Perhaps the parties preferred this tact so they could ague the case over Poppe’s alleged Section 475 election as a retail trader. In my view, the word “stipulate” means the parties agreed on facts as a pre-condition to negotiating a settlement. But it’s not necessarily the true facts. Should prop traders file Section 475 elections as a backup position in case the IRS later considers them a disguised retail customer account? I imagine plenty proprietary trading firms and prop traders are in tax controversy (exams, appeals or tax court) now and I suggest they consider contacting our CPA firm for help soon. I’m happy to see a new trader tax court case moving the goal posts back to 720 trades from 1,000. That opens the door for more traders. I am not surprised that another trader (and his accountant) botched the complex Section 475 election process and later tried to bamboozle the IRS about it in order to get a huge tax benefit. Proprietary trading firm arrangements with prop traders are murky and the IRS may turn up the heat on them both soon. For more information, check out T.C. Memo. 2015-205. Darren Neuschwander CPA contributed to this blog post. This entry was posted in Proprietary Trading Firms, Section 475 MTM, Trader Tax and tagged proprietary trading, Section 475, tax court, trader tax status on November 6, 2015 by Robert Green. This entry was posted in Entities, Retirement Plan Strategies, Trader Tax and tagged entities, Obamacare, Obamacare taxes, retirement, trader tax status on September 18, 2015 by Robert Green.